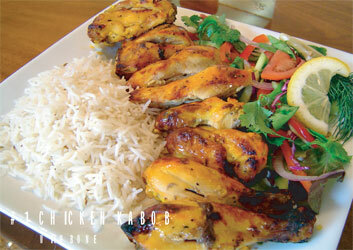 Marinated chunks of Cornish hen skewered and charbroiled to perfection with basmati rice and house salad. Boneless chicken thigh and legs skewered and served with basmati rice and salad. 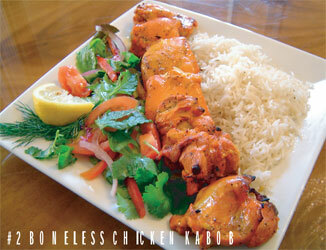 Marinated chunks of chicken skewered and served with basmati rice and salad. Chicken or Beef. 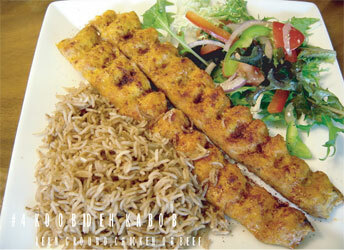 Lean ground chicken or beef, skewered charbroiled served with basmati rice and salad. 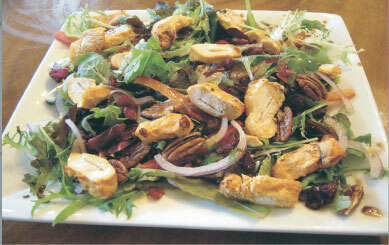 Chicken Tandoori served with rice and salad. Boneless chicken kabob and ground beef on a bed of basmati rice with a side of salad. Marinated chunks of fillet mignon skewered and charbroiled to perfection served on a bed of fluffy basmati rice and a house salad. 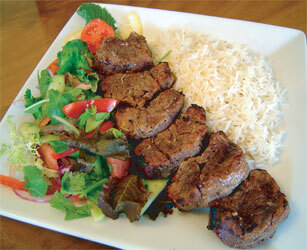 Ground chicken or marinated chunks of filet mignon skewered and charbroiled served on basmatti rice with a house salad. 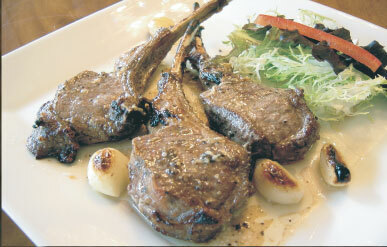 Marinated lamb chop, skewered and served with basmati rice and salad. salmon kabob served with basmati rice and a wedge of lemon and salad. Fried crushed Chickpeas mixed with Herbs & Spices in pita bread, served with with a side of sauce. Fried potatoes, cilantro, and green onions. Chicken kabob slices mixed with fresh red and green bell peppers, tomato, red onion, dried cranberries, pecans, and cucumber topped with balsamic vinaigrette. Feta cheese, tomato, red onion, and olives with balsamic vinaigrette and extra virgin oil. Feta cheese, with mixed greens, tomatoes, dried cranberries, and red onions topped with balsamic vinaigrette and extra virgin oil.